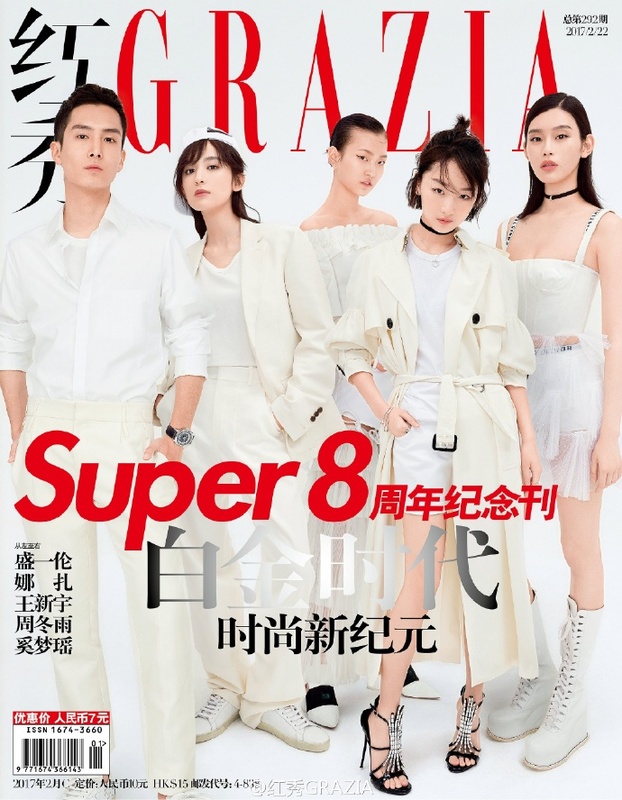 In celebration of its 8th year anniversary, Grazia China reigns in the Platinum Era as it brings together five versatile personalities who are rising stars in their respective fields. 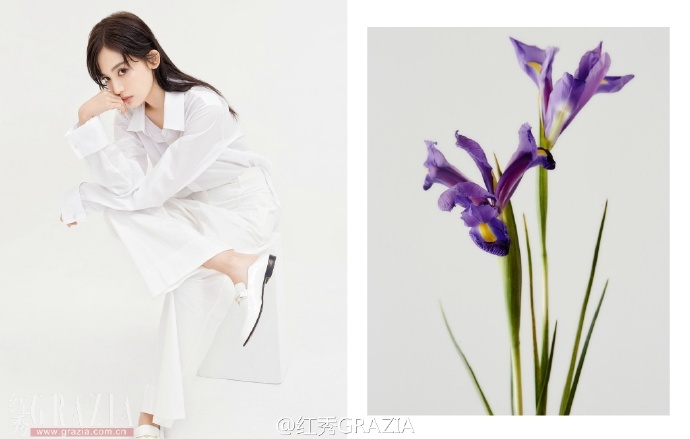 After winning the best actress award in 2016, Zhou Dongyu (Sparrow) has established herself as an artist with bundles of talent and she has been given the platinum property gan 敢 to match her bold and daring outlook on what the future may bring. Gulnezer Bextiyar (Fighter of the Destiny) has been highly-sought after for her stunning looks and she is given the platinum property zhen 真 to show the real person that she is. Sheng Yi Lun (Pretty Li Hui Zhen) is often typecasted as cold and unapproachable but he is a man with a lot of warmth and fitting for the platinum property cheng 诚, which means sincerity. 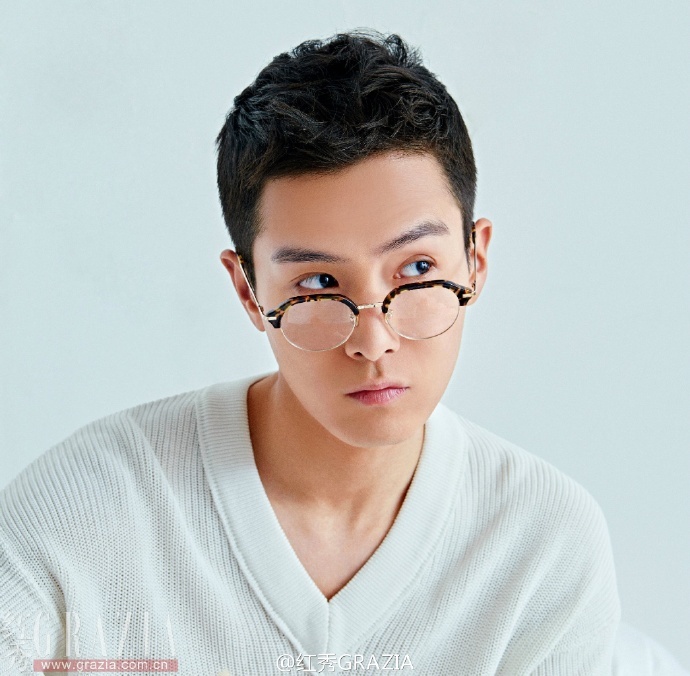 Last year was challenging for the actor due to an ugly falling out with his management agency over unpaid wages but this year sees his steady efforts to make a name for himself. Ming Xi has gained international fame as a model since 2011 booking runways with luxury brands all over the world. She is given the platinum property sa 飒, which compliments her desire to travel and see new places. Wang Xin Yu is the youngest of the bunch at the age of eighteen. 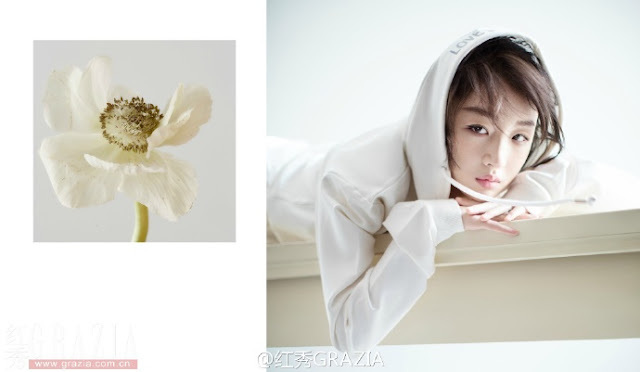 She is a relatively new model who has quickly gained traction and her platinum property is meng 萌. As she said so herself, "Like me and you'll become cute like me."